Centaur no Nayami features, coincidentally enough, a centaur as its leading character. Thinking about centaurs got me thinking about horses, and thinking about horses got me thinking about how I’ve never gone horseback riding. It’s interesting to think about how traveling by that animal hundreds of years ago was the norm. People still do so for fun of course, and horse-drawn carriages are still a thing in bustling cities for those that desire a romantic escape. But riding a horse is no longer a necessity to go out and see the world. 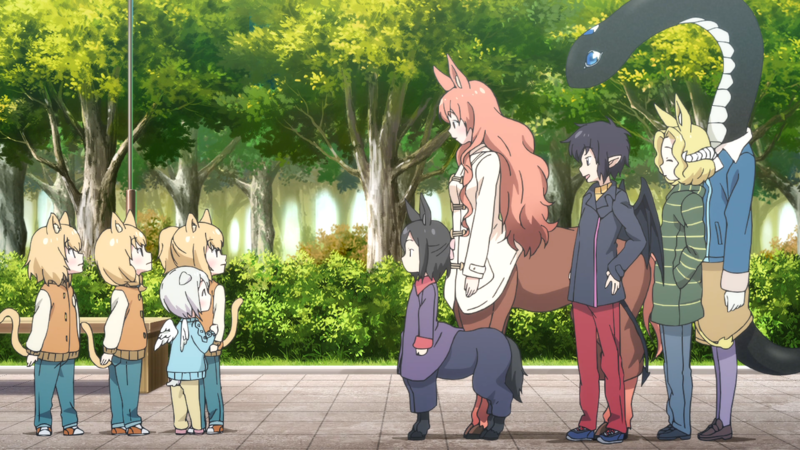 In Centaur no Nayami’s world, if a person there were to ride a centaur, let alone talk about doing so, they could potentially be arrested for disrupting the peace. 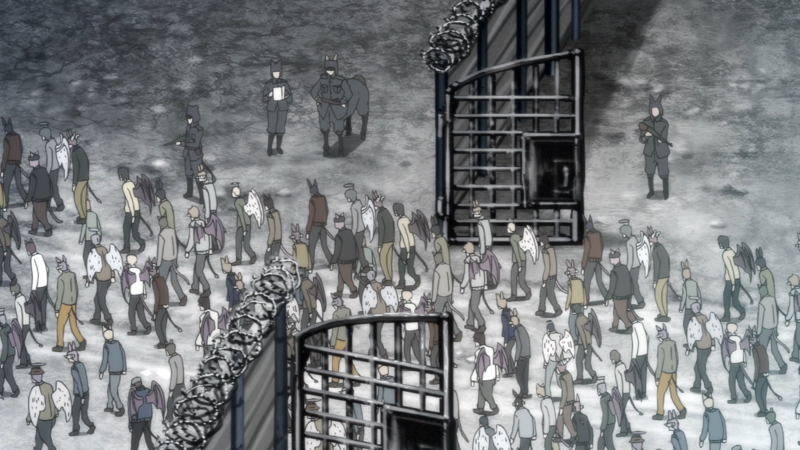 But, thankfully, no peace disruption goes down in this mildly interesting anime. While “nayami” translates better into English as “worry,” the localized title for Centaur no Nayami is A Centaur’s Life. That last word homes in on the anime’s structure, a structure that fans of this medium have come to equate with laidback shenanigans and an episodic format overall. That’s right: the tried-and-true slice-of-life genre. 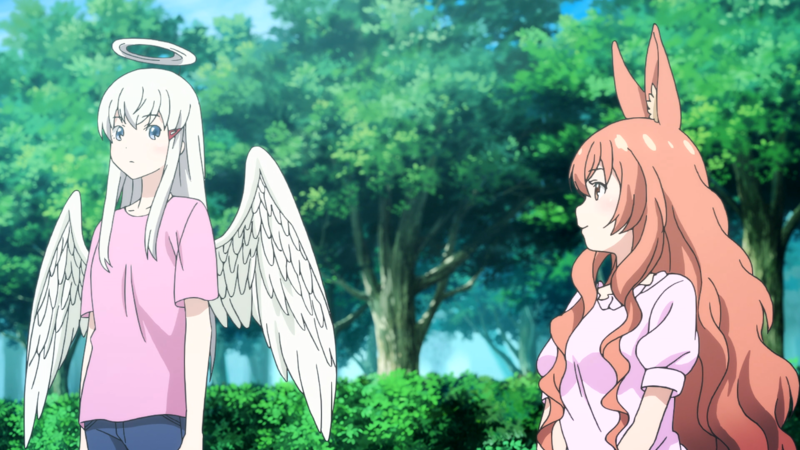 Despite relying on the title earlier, this anime is not strictly about Hime the centaur’s daily troubles. Rather it’s about her own worries and those of the people closely or indirectly related to her. Nevertheless, it is purely slice-of-life. From the very first kiss to the final arm-wrestling match, the characters take part in events that barely reach above the mundane and the regular throughout the season. Naming flowers, dating, glimpsing at family life. See? Simple, normal stuff. The twist with these events, however, is the fact that Hime and the others are less human and more hybrids. Goat people. Snake people. Frog people. Angels. Mermaids. And, of course, centaurs. They go to school, hang out on the weekends, and take part in various activities like any other normal person, but they also deal with their own problems, too. Their abnormalities (or, to them, their normalities, a made-up word for argument’s sake) become a key part of Centaur no Nayami. In depicting them, the show builds its world through simple yet effective means. The design of cars made for centaurs. Glasses that wrap over the heads of those with ears in the same spot. Scary, grotesque movies that put snakes in a negative light. 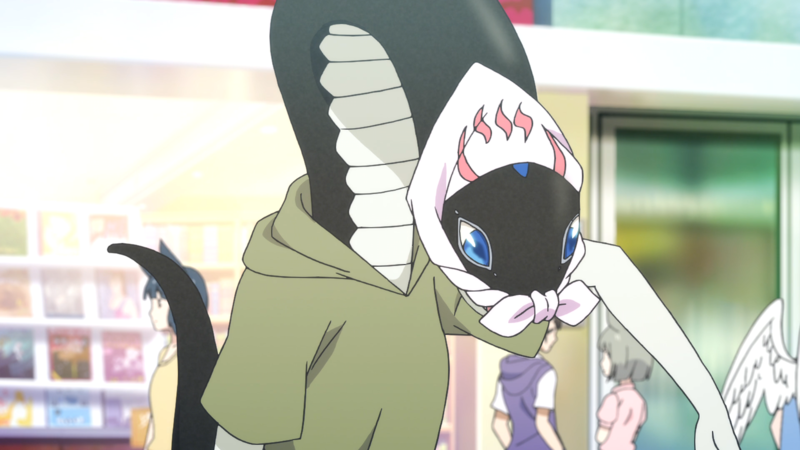 When in doubt, the anime ties in its strange world through the same strange creatures that inhabit it. On the opposite end, the anime can also take it to a realistic level of sorts. For instance, mermen (or maybe merbutlers) find clothed bodies more attractive than naked ones. It just so happens that their mermaid counterparts only cover their chests (with bathing suits) when outsiders visit their watery lands, so that element of imagination which can guide the libido works overtime for this aquatic species. During rare occasions, the show combines both the abnormalities and the realism to create some rather extreme scenarios. It can go anywhere from a Holocaust analogy that discusses the mistreatment of those different from others to young women simply and understandably curious about their own female anatomy. Such extremes are surprisingly not out of place, though. As the show unfolds, the audience starts to take note of an underlying motif, a darker subtext whose nature seems alarming on a moral and philosophical level. Talking points about forced patterns, societal equivalence, and unseen control pop up at a semi-frequent rate that hint at a world whose outer shine hides its inner oddities. For instance, shows and books for kids take on democratic motifs for early subliminal messaging. Ominous officials leer from afar as well, making sure teachers inform their students that equality matters more than life itself. The “Department of the Interior’s Bureau for the Conservation of Normal Society” also outright bans particular books they deem too discriminatory. And don’t forget about missing hair halos constituting a potential violation of civil conduct. This dark subtext within Centaur no Nayami gives the show a slight spin that lets it stand out when it otherwise wouldn’t, for wickedness lurks beneath the fur and the feathers. Intentional or not, such wicked content promotes a welcomed progressive attitude as a neat side-effect. Homosexual relationships are not looked down upon whatsoever, and the show even points out how the earlier use of “snake people” is derogatory when the proper term “Antarcticans” should be used instead. 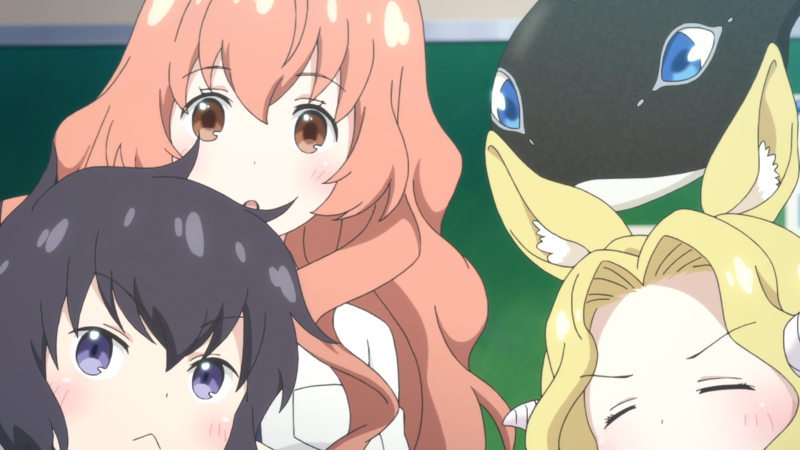 These details are small within the anime when compared to the slice-of-life antics or the larger subtext, but they once again spin Centaur no Nayami towards making a name for itself. Unfortunately, that darkness and this progressiveness isn’t really explored. Often, the events and the characters bring up these thoughts in passing or as an addendum, and then the episode continues onward as if they weren’t brought up at all. It leaves these interesting tidbits on the wayside, failing to address their thematic implications let alone diving headfirst into these topics. Despite the anime not expanding on them to a meaningful extent, it clearly does a lot right with its story anyway. It maintains focus. It takes advantage of its premise. It builds its world. It features different ideas to begin with. Overall, the show gallops, slithers, and flies ahead without too much trouble. Centaur no Nayami, due to the diverse species that walk among its streets and its buildings, showcases many different designs for the inhabitants of this world. Wings, horns, legs, ears. They combine with various skin tones and body builds to diversify its crowd as much as their “normal” government would likely tout. It doesn’t take long for the artistry to waver, though. Background people and even the frontrunners go off model too noticeably at times. Furthermore, the animation, while never its strong suit, worsens despite the events not involving much movement in the first place. Not that these details ruin the experience, but they still take away from the anime’s total execution. Moreover, and worse still, the anime decides on other visual elements that further hurt its chances. Pale, bright lighting washes out the presentation, hampering the visuals with a boring aesthetic. The setting does not help either as Centaur no Nayami ignores any extra flair and instead sticks with the lackluster school grounds. And it does not use any interesting cinematic techniques to curtail some of these problems, leaving them wide open as a result. To be fair, this very straightforward presentation of the show’s content coincides with its slice-of-life direction. However, it sacrifices intrigue for a whole lot of dullness that keeps it from reaching a higher potential. Still, the anime demonstrates flashes of care here and there. 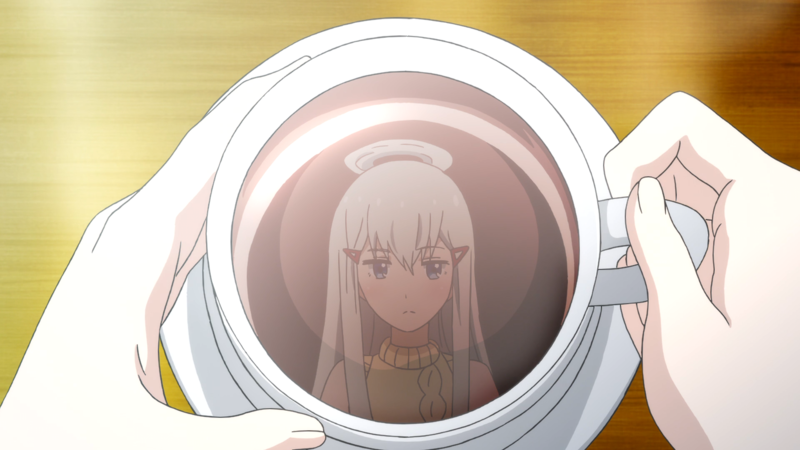 When the gang talk about Hime’s ancestry, an old-fashioned filter separates the past from the present. It also targets its subtext, too. As a scene transition in episode three, the crosswalk symbols exchange human hands and human walking poses for a generalized green triangle and red square to forego any perceived discrimination. The wavering artistry and the poor visual elements sadly outweigh these smaller flashes and even the designs. Altogether, the anime simply lacks an engaging artistic direction when it sorely needs it. In Centaur no Nayami, what one sees isn’t always what one gets. Somewhat. That’s not immediately obvious. With its heavy slice-of-life roots, Hime and the others rarely deviate from their initial impressions. She’s the kindhearted “princess” of the school, Manami acts as a mother of sorts as she looks after both the students and her sisters, and so on. The anime isn’t interested in exploring these characters in a dramatic, traditional sense, and it doesn’t need to. Instead, their interactions and reactions to their different daily situations bring out more of their characteristics. For example, Hime has (relevantly) massive insecurities about her own body that sometimes dictate her decisions. Manami, in her free time, works as a (fake) exorcist and questions her father’s motivations when it comes to his painting hobby. In both cases here, the characters reveal new sides to themselves that were not present on the surface, getting at that “somewhat” caveat from earlier. An important note considering their species. As a centaur, people may expect Hime to act confident and strong, but she’s as delicate as a butterfly. Similarly, Manami may be an angel, but she’s far from angelic as she berates (with love) those close to her with a firm foot. These “masked” sides to the characters follow the story’s own “masked” content, creating some parallels that form another layer for the anime to build upon. Suu the Antarctican snake embodies this idea the most. She arrives late at about the halfway point of the season, representing a “scary” foreigner to the other characters. Yet interactions with her turn that description into a false assumption. Instead, she introduces contrast, perspective, and dialogue in a fair way that go against what the characters and the show normally portray while still demonstrating that she is just like them at the end of the day. Moreover, Suu’s presence leads to further commentary about the darker subtext as she shares knowledge about her people. Not to mention how her willingness to learn about their cultures, too, ignites a give-and-take that exposes more about them and the world at large. Nozomi and Kyouko, Hime’s two best friends, also get at this “masked” idea. The demon Nozomi has an innocence about her, and the goat-girl Kyouko isn’t loud or energetic but instead quiet and reserved. Sadly, they also highlight a big problem with the cast: plain to a fault. Be it these two or Suu or Manami or Hime, these cast members lack quirky, riveting qualities. Without such qualities, the show prevents them from becoming interesting individuals let alone memorable characters. That setup is part of the point of Centaur no Nayami. From their point of view, they aren’t meant to be weird hybrids but rather regular, normal people. Just as it was with the artistry, though, this normalcy dulls their presence and thus their impact within the anime, molding them into shapes too simplistic to call worthwhile. Regardless of their simplicity, they fit well within the confines of the anime, they follow the slice-of-life ideals put in place, and they at least have their dichotomies which flip their usual setups. Not too shabby for these unassuming group of girls. By far the best piece of music out of Centaur no Nayami, and arguably one of the best parts of the anime period, is the ending track. Titled “Edelweiss”, it soars like an angel. Very strong vocal delivery, background harmonizing, delicate instrumentation, grand atmosphere. It has the complete package. 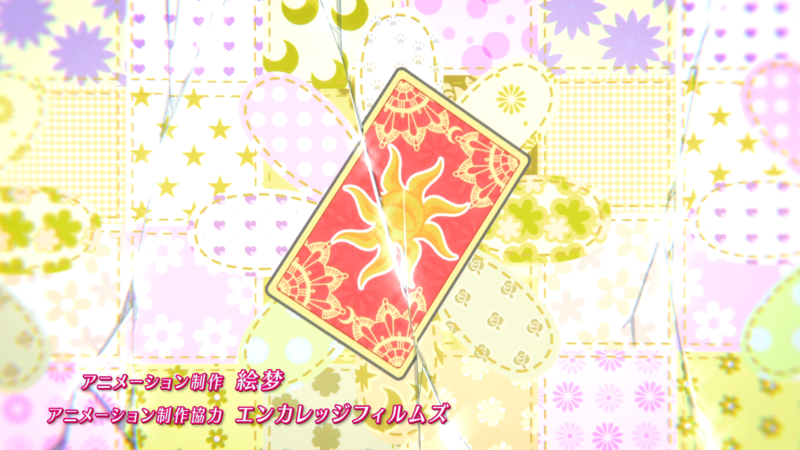 The catchy beat in the second half does not step on the song’s wings in-flight, and it even has a translated English version that replaces the normal Japanese one in episode nine. An interesting detail given that that episode features the Nazi side story. “Interesting” because the song “Edelweiss” is already a very famous song, played as a patriotic tribute in the face of Germany’s oppression during the critically acclaimed film The Sound of Music. That is, on some level, the track argues for pushing back against the controlled sameness that permeates the anime’s content as not-so-subtle subtext. Indeed, an edelweiss – a small, white flower – symbolizes purity and individualism. Traits the characters in the show somewhat lose out on as their society pushes centaurs, snake people, and mermaids into the same category without their say which inadvertently stops them from fully expressing themselves. Too farfetched? Perhaps. But the anime includes that darker edge a lot. 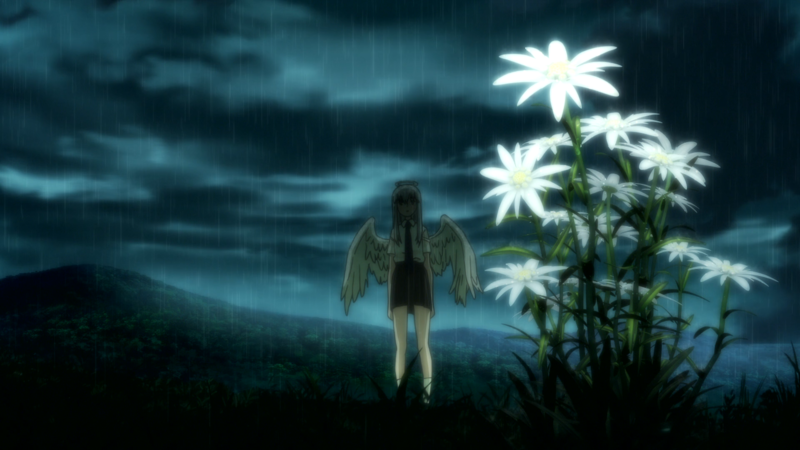 Plus, the stark contrast between the structure of this ED here to the rest of the anime is hard to ignore outright. So, at the minimum, it isn’t too crazy to imagine it having its own subtext, a purpose beyond just sounding nice to the ears. The ED aside, the rest of the sound work within Centaur no Nayami does not reach the same lofty heights, but they bring their own flavor regardless. The original soundtrack has its piano tunes and trumpet ensembles no doubt. But the xylophone sections feel the most comfortable, their smaller scope and their daintier notes aligning with the slice-of-life presentation. Extra animal noises, such as hooves on pavement and hissing tongues, add realism to the premise but are arguably expected anyway since not having them would leave the show in an unrefined state. Likewise, the voice-acting performances do not land anywhere too impressive, but the large reliance on novices for the majority of its major cast members is cool to see (or rather hear). Yuu Ayase as Suu at least deserves a small shoutout for her calm manner of speech. And not forgetting about the opening track, “Oshiete Darwin” follows its counterpart with a song whose composition doesn’t exactly translate to the mood of Centaur no Nayami itself. It blasts into existence with way too much loudness, but the playful vocals, silly sound-effects, and the quicker pace give it a lighter feel as the striking, futuristic instrumentation plays alongside these details. The lyrical content is not as nuanced or as intriguing as the ED, but references to “evolves”, “Gods”, “planet”, “dimension”, and “Balance” round out the OP with a scientific angle that underpins that ever-present subtext once more. With such a strong ED, and a solid OP, OST, and set of VA performances, the anime demonstrates a lot of execution in its music and its sound that go a long way towards supporting this project. I had a pretty okay time with this one. Having that Orwellian atmosphere present throughout the season kept my thoughts on the lookout even if its presence was not technically around at that moment. The yuri under-and-over tones also were right up my alley, being a big fan of the genre. I liked several of the characters, too. Hime was my favorite. Cute and kind, she did her best to live happy and carefree with the many people around her whom she called friends. Suu was also a favorite of mine; her calm composure and overall outlier status put her in a unique spot. And I cannot forget about Manami. She had an air of superiority, but her drive upheld true sincerity visible in nearly every interaction she had with those around her. Her trio of little sisters – Chinami, Chiho, and Chigusa (informally the Chi Sisters) – and Hime’s younger cousin Shino were adorable thanks to how they dealt with and responded to the teenagers around them. Kyouko and Nozomi were also a silly pair to have around. Their lowkey behavior and tomboyish actions (respectively) complemented Hime well to create in them a cool trio. Otherwise, the rest of the anime was meager to me. I was not too invested in the actual events taking place throughout the season. I did laugh at its jokes, but I didn’t find it hilarious. And I appreciate its subtext yet wish that it would have been more enlightening through greater thematic depth. So, when looking at everything as one big picture, I see this anime as neither amazing nor horrible but as a middling offering. 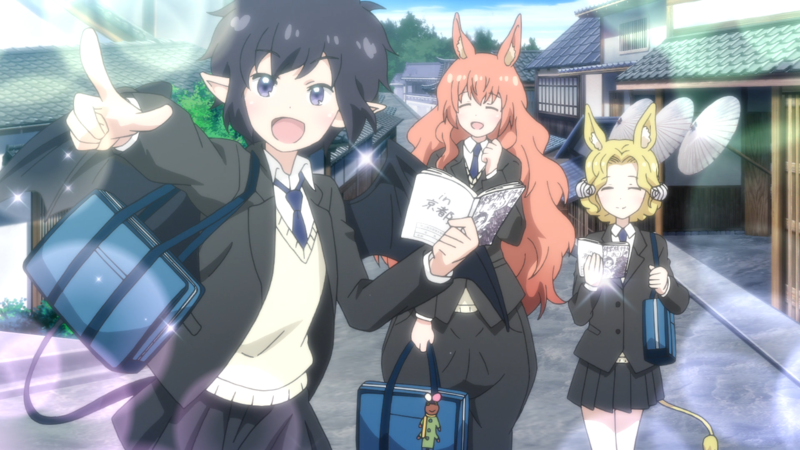 Centaur no Nayami provides for its audience an average experience. Its plain narrative and plainer characters hide extra details. Nuanced musical pieces combat the boring artistic display. And the entertainment value balances itself out with both likable and forgettable elements. It’s worth the ride – but just the once.